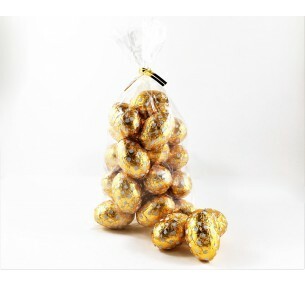 The Caramel Mini Egg Hunt Pack is filled with half a kilo of brightly wrapped sweet treats. The clear cello bag is finished with an elegant white bow, making it an instant gift. Ideal for egg hunting or sharing with family and friends over the Easter break. SOLD OUT! The Caramel Half Egg is an Easter classic. 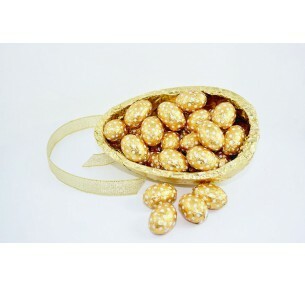 A thick milk chocolate egg shell is fil..
SOLD OUT! 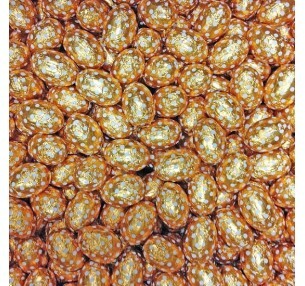 Caramel Mini Eggs have a sweet gooey centre inside a milk chocolate shell. 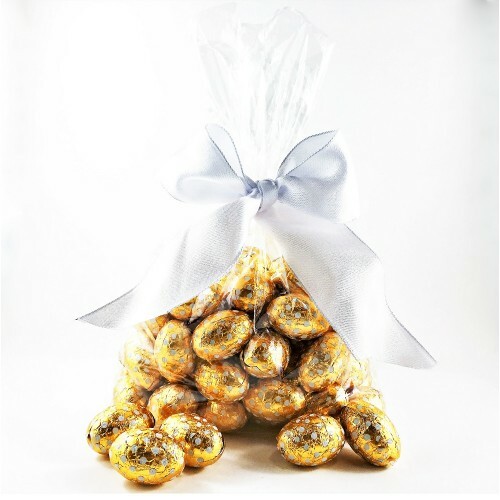 Ideal for of..
Caramel Mini Eggs have a sweet gooey centre inside a milk chocolate shell. Wrapped in spotted foi..